If you'd asked me a few years ago to name ten NZ waterfalls (let alone 10 of the best) , I might have struggled. But fast forward a few years into this photography lark, and I make it my mission to go and visit stunning waterfalls whenever I get the chance. 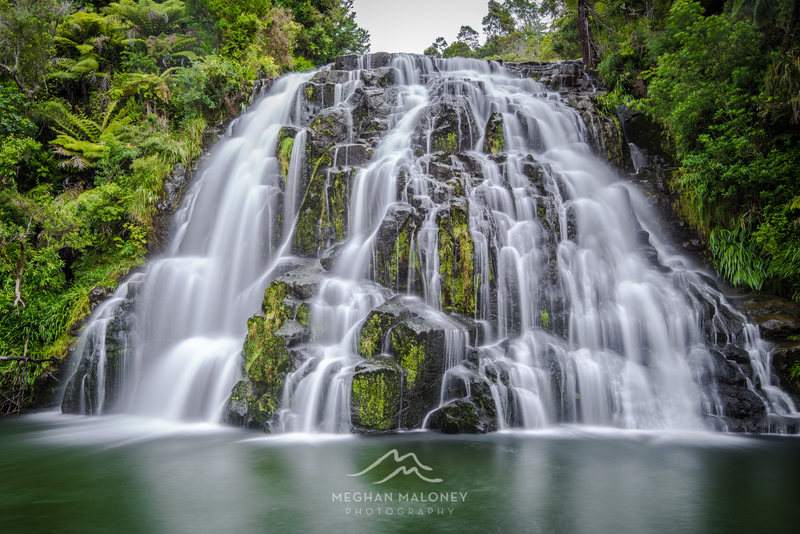 I'll let you in on a little secret about photographing waterfalls - they look their best on cloudy or rainy days so if you get stuck with some dodgy weather on your travels go waterfall hunting - it's the best time to see them! Another thing about waterfall hunting is that it usually involves driving down country roads miles from anywhere in search of the waterfall, and that is half of the fun. I've seen some pretty incredible scenery that I never would have seen were it not for chasing waterfalls. 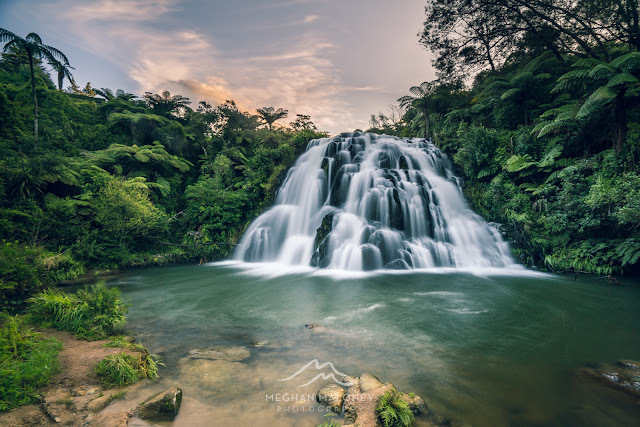 So as much as this post might tell you where some of the best waterfalls in NZ are, please please please keep your eyes open and take in all the beautiful scenery on the way there, I promise you will be amazed! If there were prizes for the most beautiful waterfall in NZ, then Bridal Veil Falls might win. 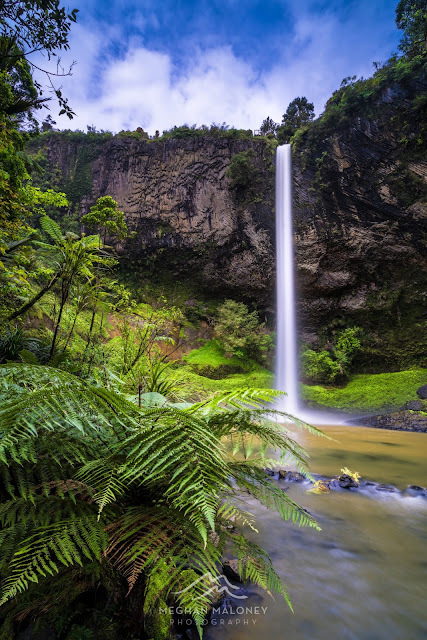 The sheer size of the curtain of water that falls from here is impressive, and it definitely suits its name. 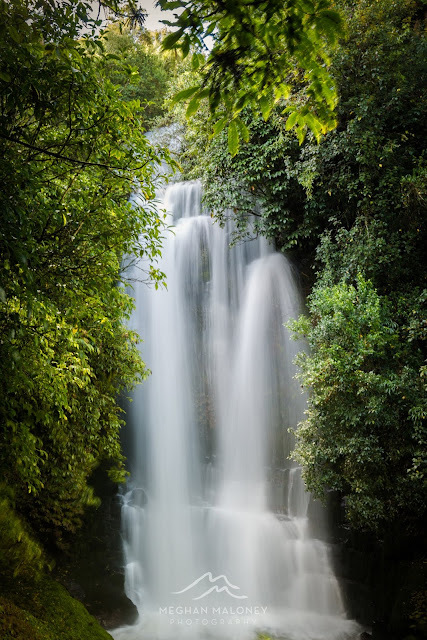 Although it's an easy walk from the car to the top of the waterfall, the walk down to the base of the falls is steep and according to reliable sources has 261 stairs all the way to the bottom. 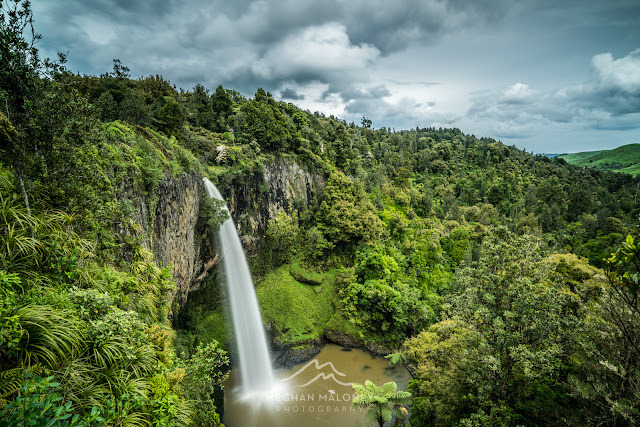 Don't be fooled into thinking you can stay at the stop for photos, the lovely peekaboo shot at the halfway point and the view from the base of the falls is well worth all the huffing and puffing you might do on the way back up. This waterfall is the most likely of any of the waterfalls mentioned to be thronged with tourists on any given day, but it is still a pretty impressive sight visualising what 220,000 litres of water a second looks like flowing through a narrow canyon and tumbling over the edge into the foaming pool below. 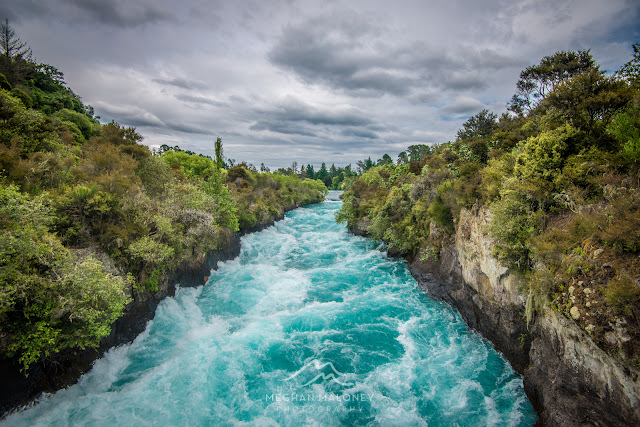 If you time your visit well, you might even get to see the Huka Jet racing up the river to thrill its riders with some 360 degree spins and turns right at the base of the falls. 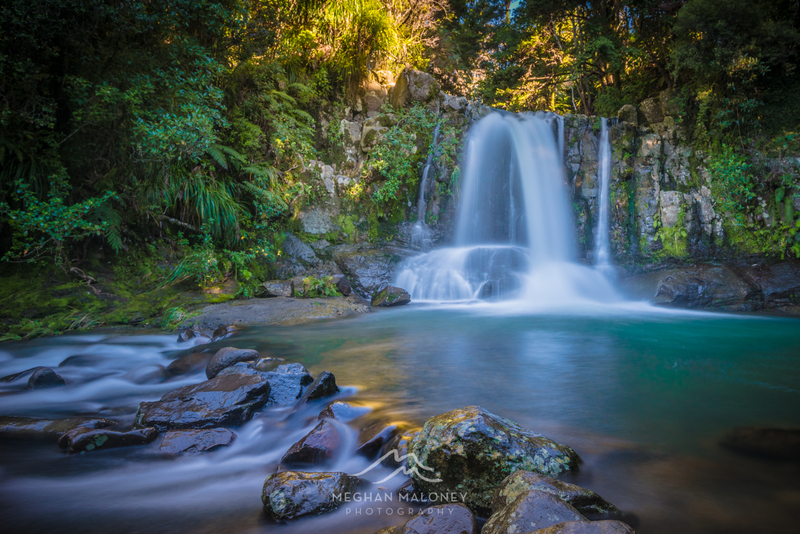 This lovely set of falls is hidden out the back of Papamoa near Tauranga, and what I love about this area is that you get great bang for your buck with a whole range of waterfalls on the 20 minute loop track - the best one in my opinion is the one at the bottom of the track, but they are all worth a visit and the fact you can pretty much reach out and touch some of the waterfalls here makes it all the more appealing. 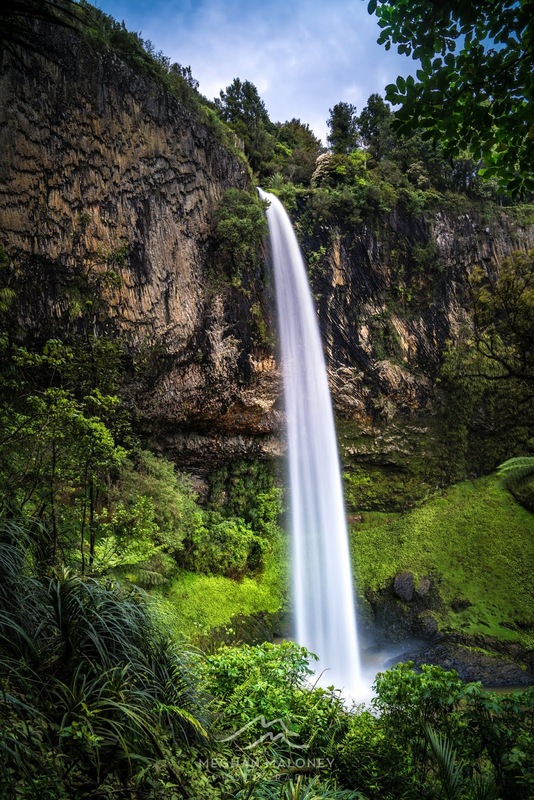 Whoever heard of a thermal waterfall - only in NZ right?! 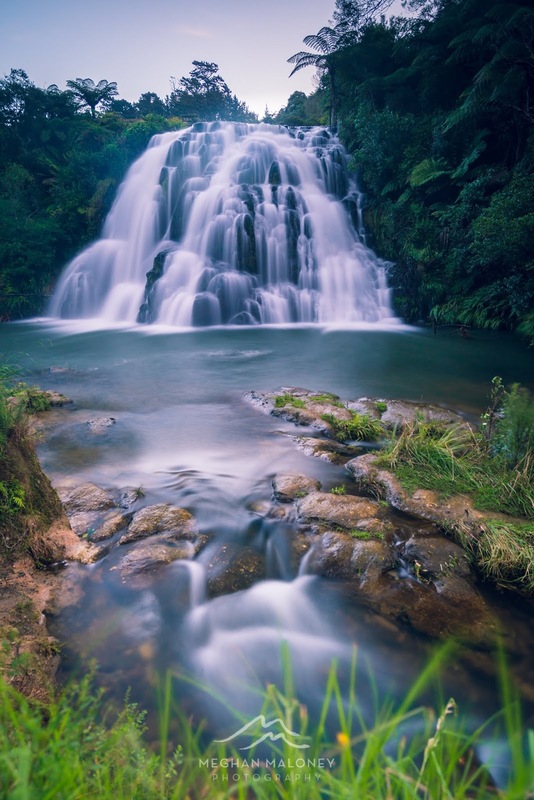 This magical spot just outside of Rotorua is better known to locals as a thermal swimming hole s much as it is a waterfall. 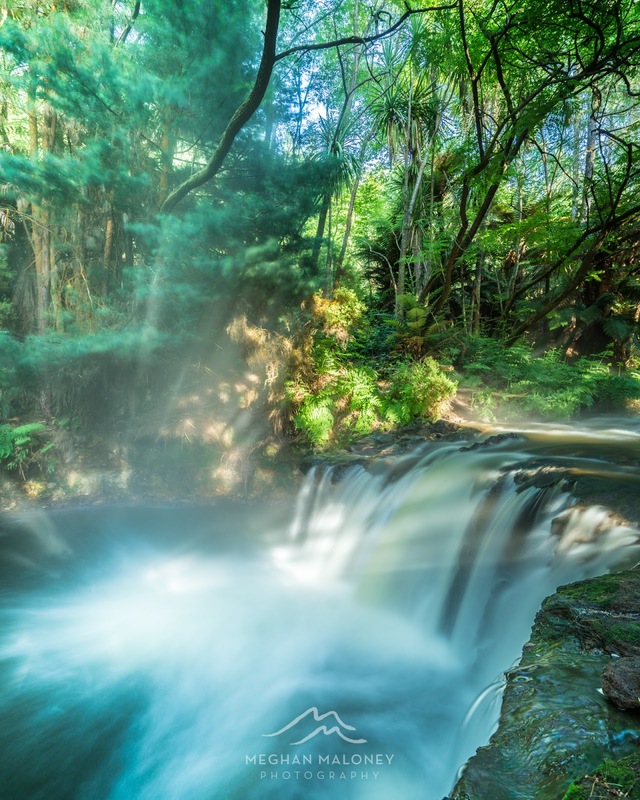 Visit at the right time of the day and you might be lucky enough to catch some lovely sun rays streaming through the forest and bouncing amazing shafts of light off the waterfall and steam it produces. 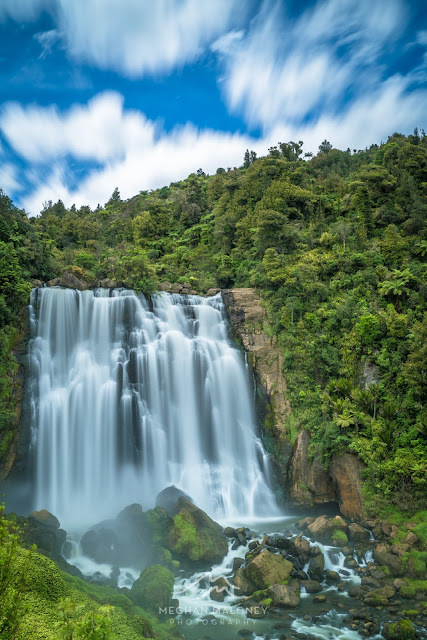 There's waterfalls and then there's Marokopa. 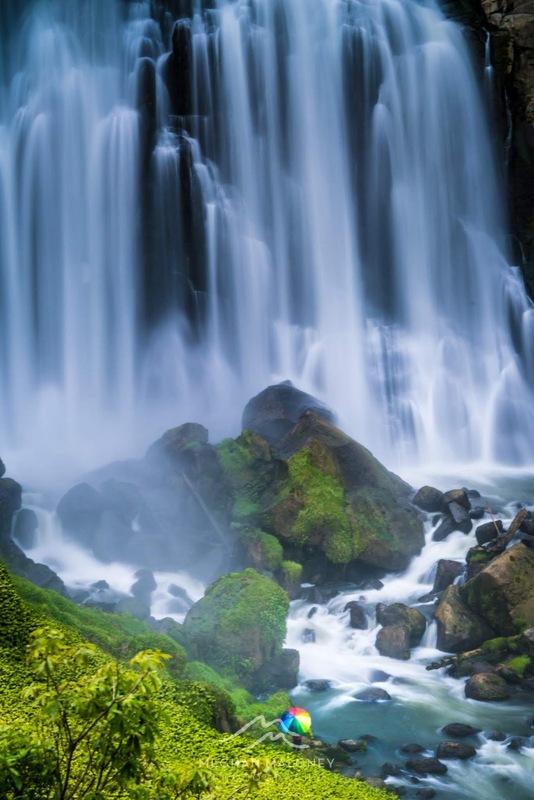 This waterfall pretty much takes the cake in terms of being so impressive that most others pale in comparison. Often there's so much spray taking shots is a real challenge, but on my last visit I was lucky enough to strike a day where there was very little wind and it wasn't blowing straight at the camera. I had it in my head that I wanted to make it all the way down to the river, but I'd heard it can be muddy. That turned out to be the understatement of the year as I literally sank in mud up to my knees on the way down - dodgy as! However once I had started, I was kinda committed to the cause and once you're muddy, you're muddy right?! So glad I had a change of clothes back in the car though! In the bottom shot you can see me and my colourful umbrella dwarfed by the massive waterfall - it is huge!! 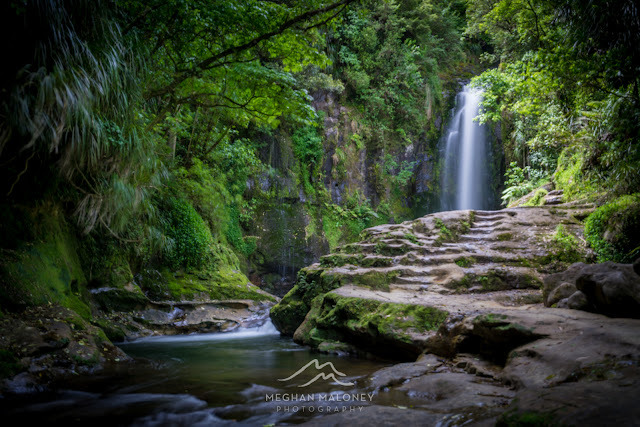 To get to Marokopa Falls head for Waitomo Caves and then just keep on driving - on the way you'll also want to stop in at the Mangapohue Natural Bridge - an awesome feat of nature in the lushest setting. 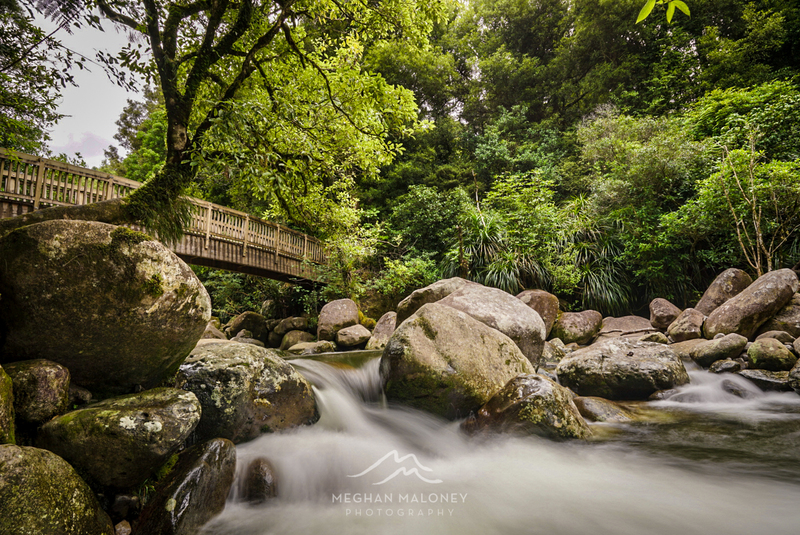 The drive to Owharoa Falls takes you through Karangahake Gorge, which in itself is worth a stop to hike on the Rail Tunnel loop and the Windows Walk - make sure you have a half day free if you want to see all three! 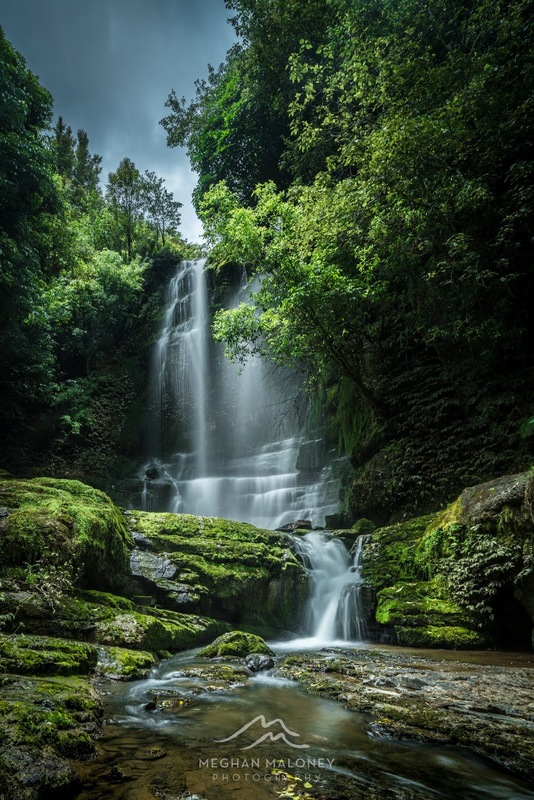 Owharoa Falls is a lovely cascade waterfall that looks beautiful without even having to try. 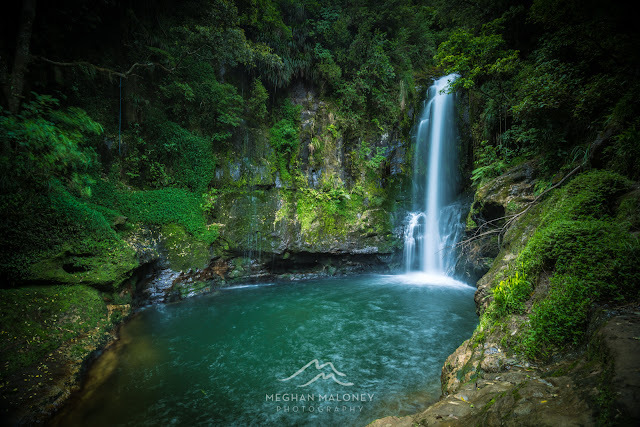 It's also really accessible (only a 2 minute walk from the road) so that can mean it's pretty busy in the summer with lots of people taking a dip in the pool at the base of the falls - if you want to get an uncrowded shot go early or late or in the colder months when no-one is brave enough to be in the water! 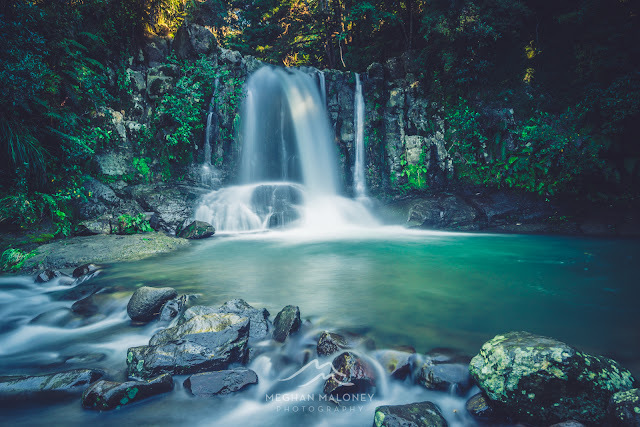 Did you know this gorgeous spot was made famous by Gollum in the Lord of the Rings film where he's fishing in the pool - can you remember the scene?! 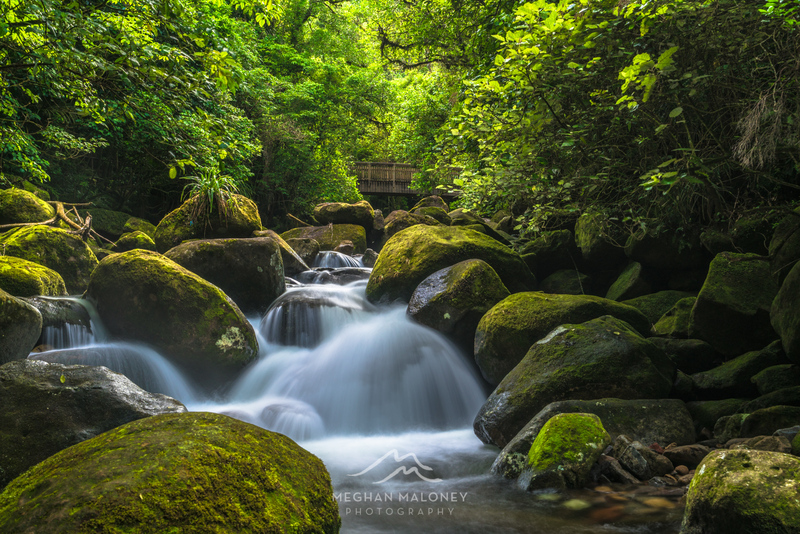 I've only visited this spot once and it was when the river was flowing very high after heavy rain so the water looked incredible without even having to worry too much about taking a long exposure. 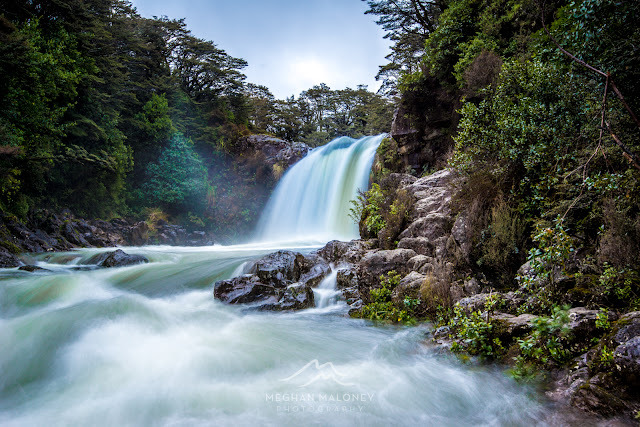 The Falls can be found on the main road up to the Whakapapa skifield on Mount Ruapehu and is an easy 10 minute walk from the car. 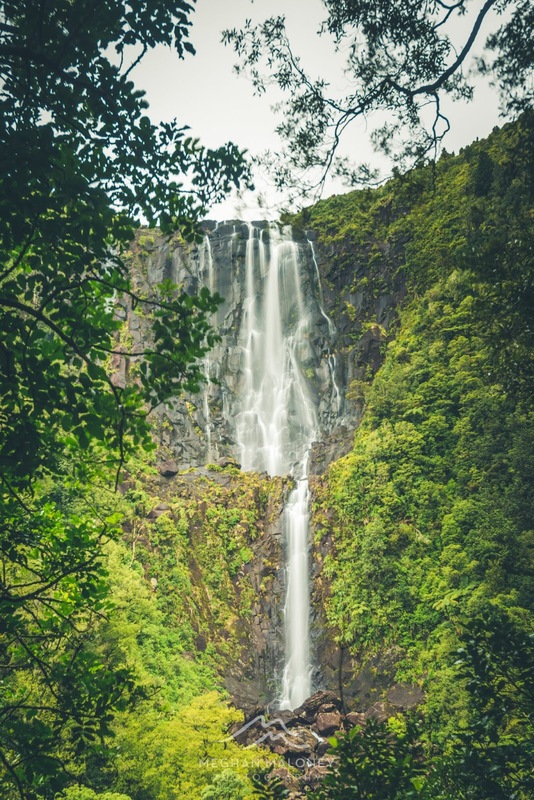 What I love most about Waiau Falls is the road to get here - depending on which end of the famous 309 road you take through the Coromandel, you'll either first pass by the amazing Kauri grove with some of NZ's tallest trees in it on the way to the Falls, or you'll pass by the pig farm with all these cute little porkers running free on both sides of the road - they are a sight to see. Make sure you visit Waiau Falls on a day when you have enough time to drive the length of the 309 road - it's well worth it. I need to keep remembering that this is actually my closest waterfall - it's only 40 minutes from home and I've only ever visited it twice and still haven't been to the top - I need to remedy that! 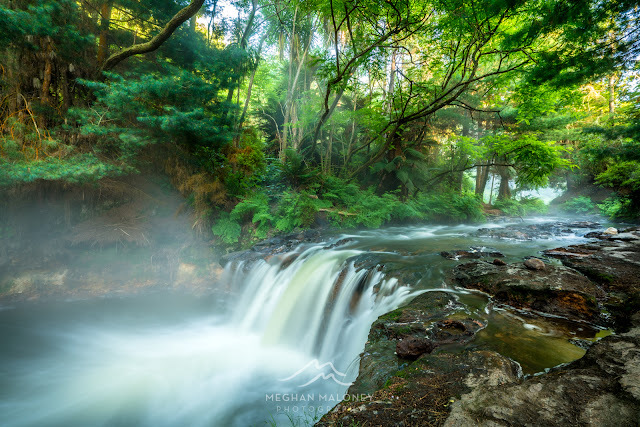 What I love about Wairere Falls is that the track on the way to the Falls is in my opinion as lovely if not lovelier than the view of the falls themselves. I get terribly distracted along the way at some of the beautiful mini waterfalls and rapids and I'm lucky if I'll ever make it to the lookout at the 45 minute mark, let alone to the top! 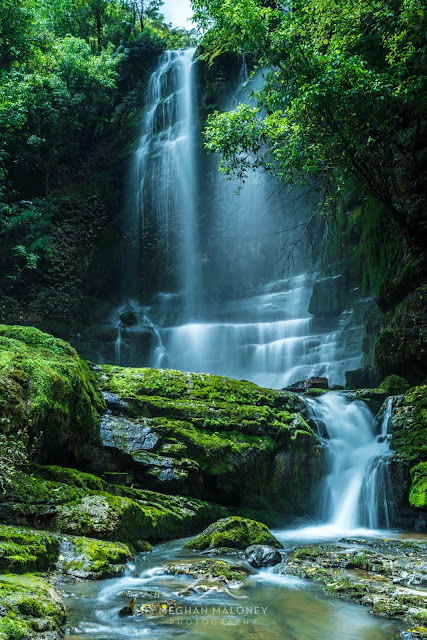 This gem of a waterfall is hidden down a scenic road 20km from Pio Pio in the middle of nowhere. If you have time on the way there you can also stop in at Hairy Feet to see some of the amazing Hobbit locations (you know it's gotta be scenic if Peter Jackson used it! 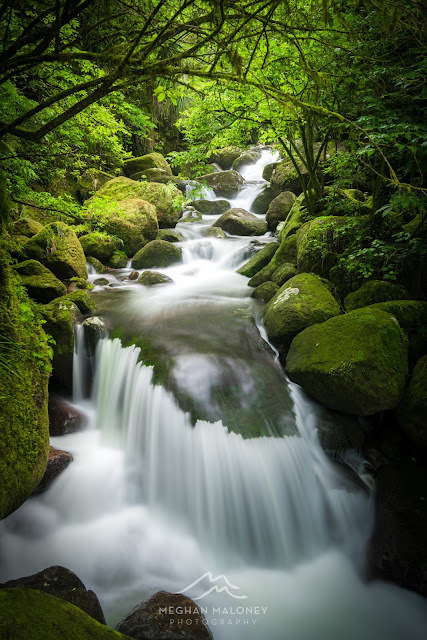 ), but also make sure you leave enough time to spend some time admiring the beautiful flow. It's only a five minute walk from the car and the setting is gorgeous - almost in a hidden grotto. I realised after writing this that I've literally only scratched the surface with waterfalls within an hour or two drive from home - there are so many others that deserve the limelight too so watch this space for another Best Waterfalls of NZ post coming soon. If you are visiting any of these beautiful locations in New Zealand, please respect the natural environment when you go and make sure you leave only footprints behind. I'm planning a trip to New Zealand in March/April. Do you have recommendations for waterfalls that will still have a good amount of water at that time of year?